Your best option is from Coway. After carrying out 300 hours of research, three lab tests in the past four years, and a new weeklong real-world test encompassing 18 purifiers, we're more confident than ever that the Coway AP-1512HH Mighty is the best air purifier for most people. Despite prolific marketing to the contrary, scientific studies do not support claims that air purifiers improve your health, in part because it's exceptionally difficult to disentangle their impact from the many other factors that influence your health. There is, however, overwhelming evidence that breathing particulate pollution can exacerbate asthma, allergies, heart disease, and other medical conditions. And removing particulates is a job HEPA-rated air purifiers excel at. We required true HEPA certification (the US definition), which means an air filter removes 99.97 percent or more of airborne particles of 0.3 micron diameter. Generally, each air purifier had to be rated for at least 350 square feet—bigger than the average living room. We did test one inexpensive purifier rated for spaces smaller than 150 feet in response to reader feedback. Each air purifier should cycle all the air in a room at least twice per hour, and ideally four or five times. Based on these criteria, we've surveyed hundreds of models, read dozens of editorial reviews, and tested 18 air purifiers since 2014. This year, we conducted two tests. First, John Holecek re-created his 2016 lab tests, measuring factors like filtration speed and efficiency, noise level, and ownership cost over time. Read more about John's tests in detail in our full guide to air purifiers. In the second test, Tim Heffernan used seven air purifiers for a week in a 200-square-foot room in a New York City apartment. This helped us form a detailed picture of how each air purifier performed in the real world. The week he ran the tests was one of the worst of the year in terms of air pollution, with numerous health advisories related to outdoor air quality. Learn more about Tim's tests in our full guide. 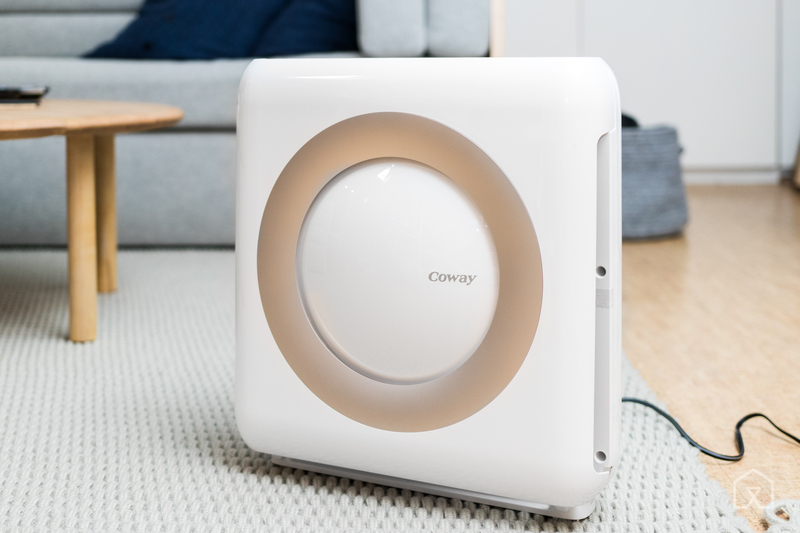 After three tests in the lab, one in a New York City apartment, and three years of in-home use, we are more confident than ever that the Coway AP-1512HH Mighty is the best air purifier for most people. It's one of the best-performing air purifiers we've ever tested, and has maintained that level of performance for several years. 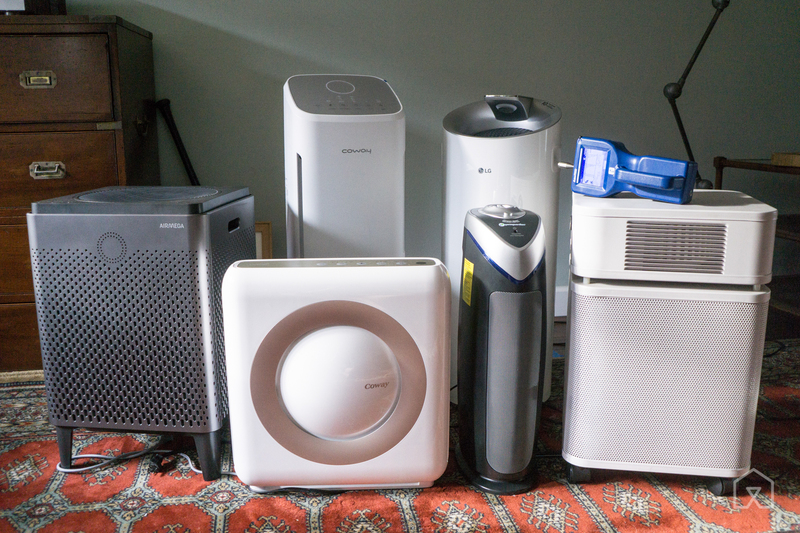 On long-term costs, it's also one of the cheapest air purifiers we've tested, costing just $600 to buy and run 24/7 for five years. In terms of measured particle removal, the Coway is very nearly the best we've tested. In our 2016 lab test, it purified better than all but two units (the differences were marginal), and in the 2017 lab test, it again outperformed the competition, reducing particulates to as little as 12 percent of the initial level in just 20 minutes. It performed just as well in the 2017 New York City apartment test, reducing particulate pollution to less than 20 percent of the starting level in 20 minutes—again, better than all but two much pricier models, and the differences marginal. We ran our original test model virtually nonstop for two years without replacing the filter—twice the length of time Coway recommends—and it still worked as well as it did on day one. That's not hyperbole: In 2016 we measured its performance using both the original and new filters, and found no significant difference. If the Coway AP-1512HH Mighty is unavailable, the Winix 5500-2 is a close runner-up. It, too, is HEPA-certified and rated to 350 square feet. In our 2016 lab test, it slightly outperformed the Coway, reducing particulate levels to 10 percent of their initial levels, versus 12 percent for the Coway. We prefered the Coway because of its aesthetics, proven long-term performance, and lower five-year purchase-and-operating cost: The Winix costs roughly $180 more, or $36 per year, to run than the Coway. 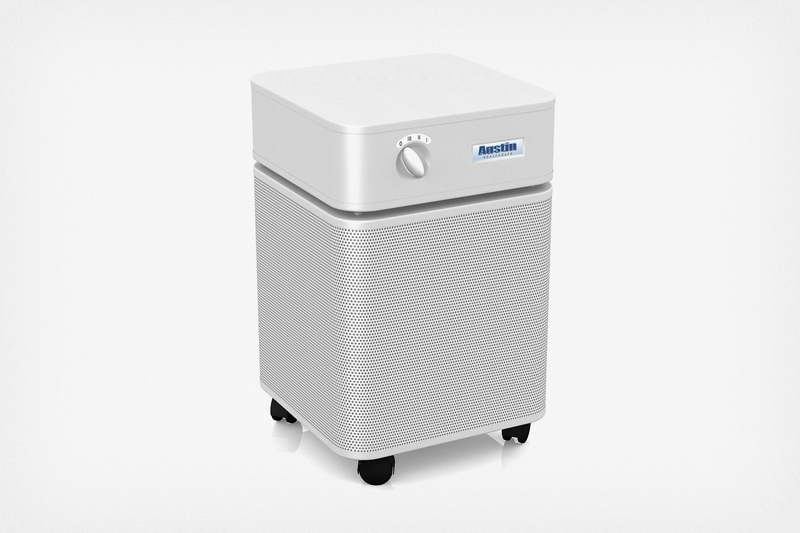 If you need to purify the air in a seriously large space, we recommend Coway's Airmega 300. It's HEPA-certified to clear spaces of roughly 500 square feet at five complete air changes per hour, or 1,250 square feet at two complete air changes. Its unique twin filters permit very high airflow, allowing it to rapidly filter large volumes of air. Although the Airmega is a great machine for large, open rooms, it's quite expensive, setting you back about $1,200 to run 24/7 for five years. That's almost exactly twice the cost of the Coway—and if you need to clean (for example) a bedroom and a living room, two Coways would be a better choice. 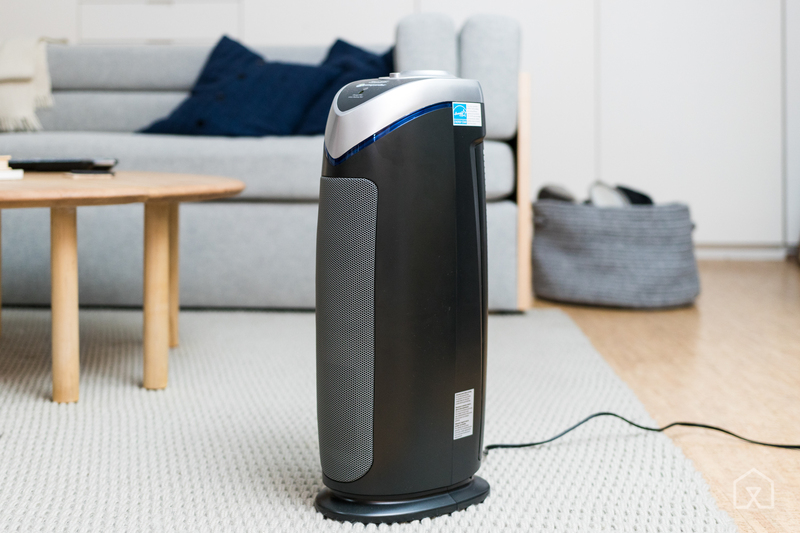 Most air purifiers (including our picks) claim to reduce VOCs, odors, and molecular-sized pollution that's far smaller than the particulates a HEPA filter can catch. 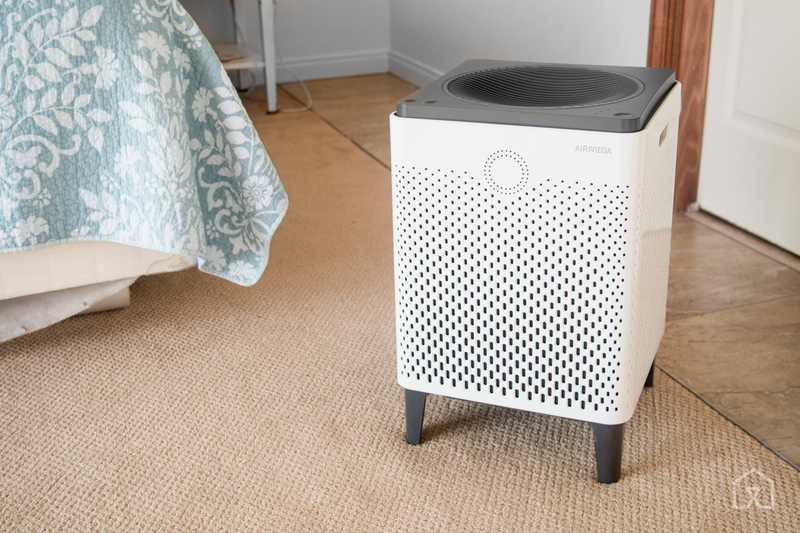 But only the Austin truly delivers that claim, with a 15-pound activated-carbon filter that easily outperformed all other air purifiers (their thin, lightweight activated-charcoal filters proved far too small to make a meaningful difference). In our tests for VOC/odor/molecular-pollution removal, the Austin reduced a heavy load of ethanol vapors to 13 percent of the starting level within 20 minutes, performing twice as well as the nearest competitor. This is a big reason FEMA and the Red Cross deployed Austin Air units for at Ground Zero after 9/11. The Austin is also a very solid performer on particulates, reducing them to less than 20 percent of starting levels after 30 minutes on high in our real-world test and to 50 percent on low. However, the dense carbon filter means it consumes more electricity than our pick. Its five-year cost is about $1,300, more than double the price of the Coway. 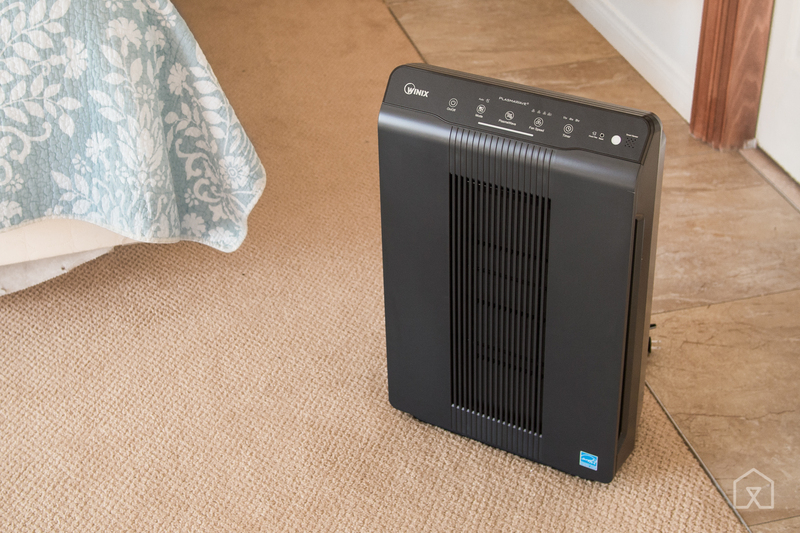 If you need to use a purifier only in a bedroom, small office, or dorm room, the GermGuardian AC4825 is a decent choice. It's rated for 156 square feet of space, but in our 350-square-foot lab, it still reduced particulates by about 80 percent, and by about 70 percent in the 200-square-foot NYC apartment (compared with approximately 87 percent by the Coway in both spaces; 30-minute tests, on the high setting). It's cheaper up front than the Coway, but costlier long-term: about $740 to run for five years, or roughly $140 more. So it's a budget pick only if you plan to use it short-term, or if you aren't paying the utility bill (as in an office or dorm).